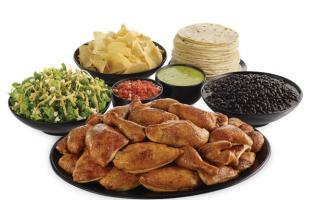 El Pollo Loco is a Mexican restaurant concept. We’re dedicated to serving authentic fire-grilled chicken and Mexican food to the Arlington community. Throughout every day we slowly marinate and fire-grill whole chickens in a special recipe of herbs, spices, fruit juices and garlic to create a tender, juicy and flavorful chicken that we hand chop and serve in our chicken meals, burritos, salads, tostadas, tacos and quesadillas. And if that’s not enough, we apply that same passion to our handmade guacamole, salsas and dressings every day.